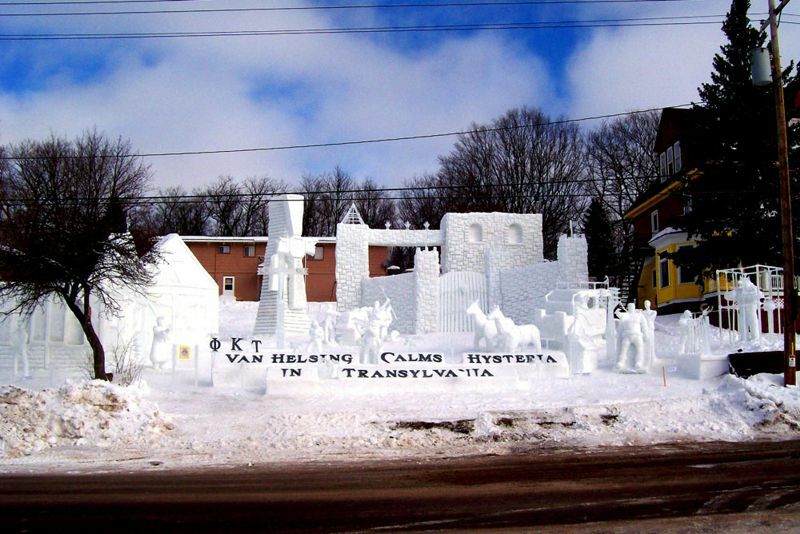 With an MTU Winter Carnival Theme this year of "Frightful Creatures with Chilling Features", Hancock's PKT Fraternity came up with a snow statue entitled, "Van Helsing Calms Hysteria in Transylvania". It was a winner for the Frat. Frat members started work upon returning from Christmas break, in mid January. This photo was taken at the beginning of the last week in January. 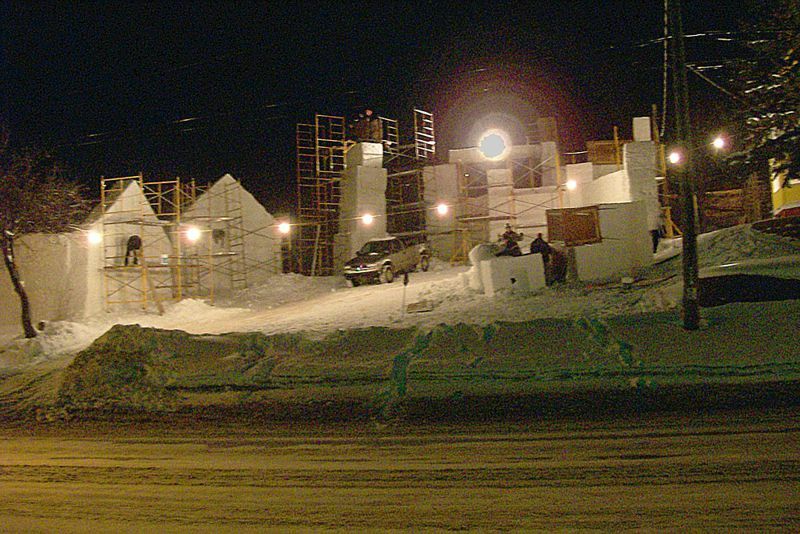 Classes let out for the remainder of Winter Carnival Week (1st full week in Feb.) on Wednesday, which becomes the All Nighter day to finish snow statues entered into Class A competition. Judging is 8am on Thursday. 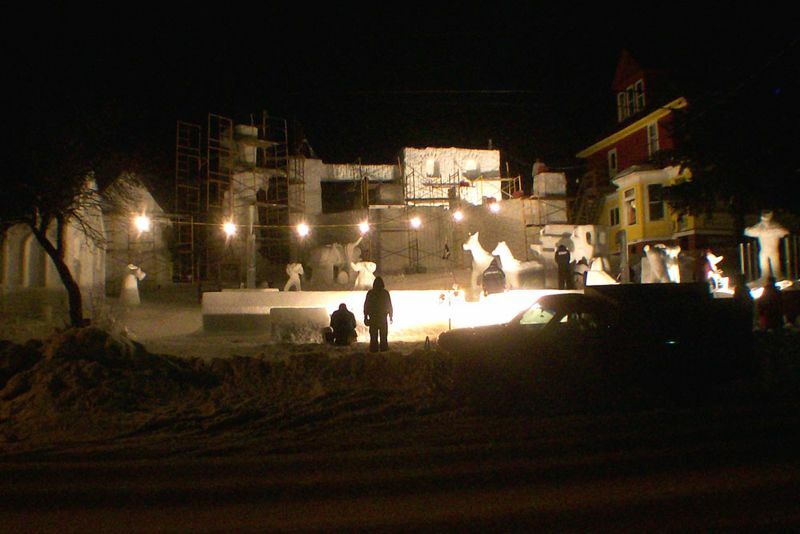 Work goes on feverishly to get things completely finished in time. This story, which explains the statue theme, appears in the next image in the lower left hand corner of the statue area. The completed statue, shortly after judges have visited.